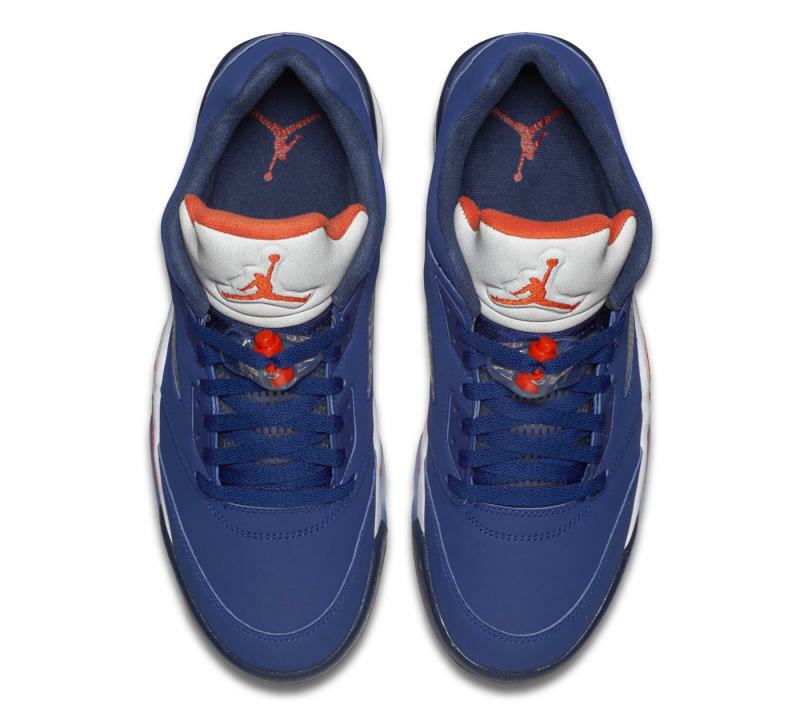 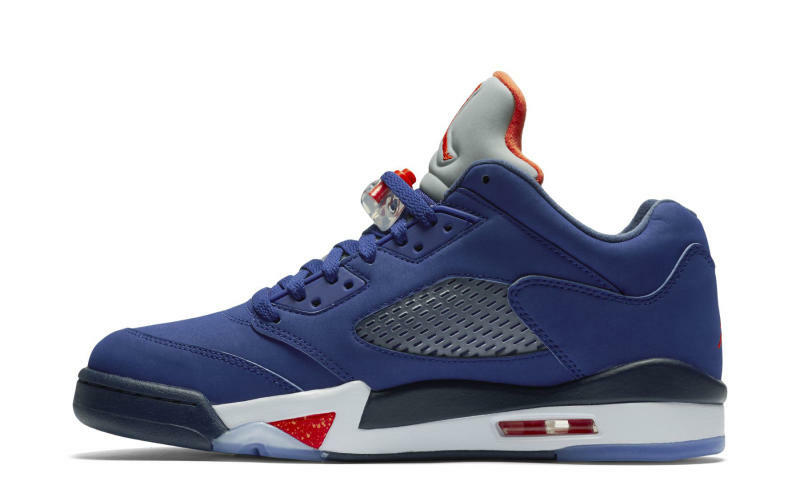 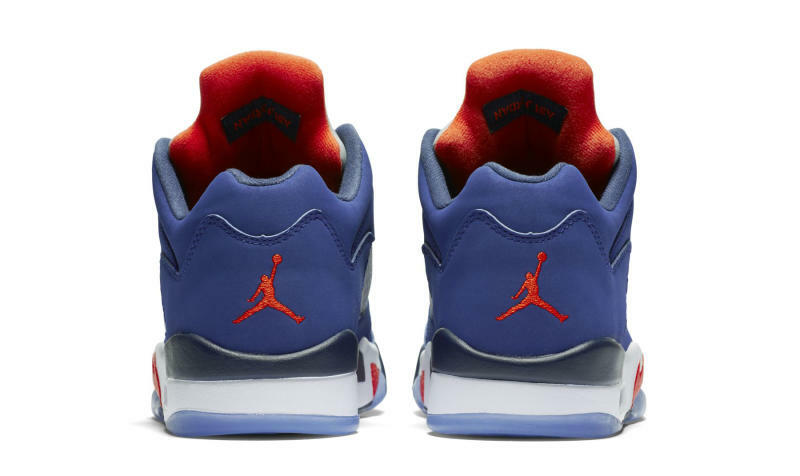 With the Air Jordan V Low being noticeable this year, here is another colorway which pays respect to the Knicks. 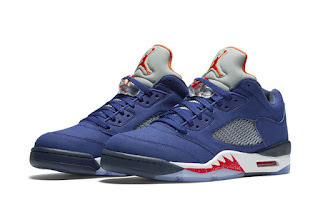 An all-blue upper with hits of orange and can be seen on this low-cut silhouette of the Air Jordan 5. 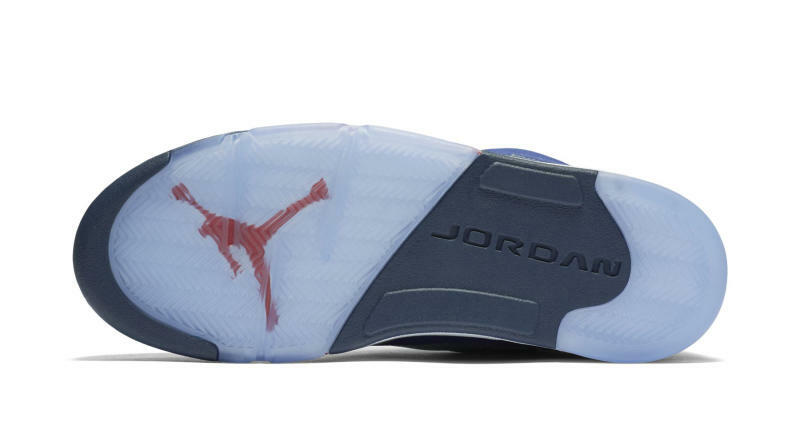 I am not sure if the tongue is made up of reflective material but it does give that look. 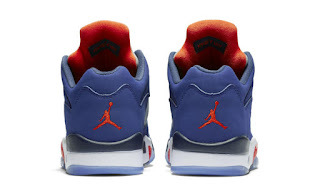 If it does, then this would like more cool in my eye. White midsole with visible air unit can be seen in the heel with a mixture of rubber and icy blue outsole completes the whole vibe. 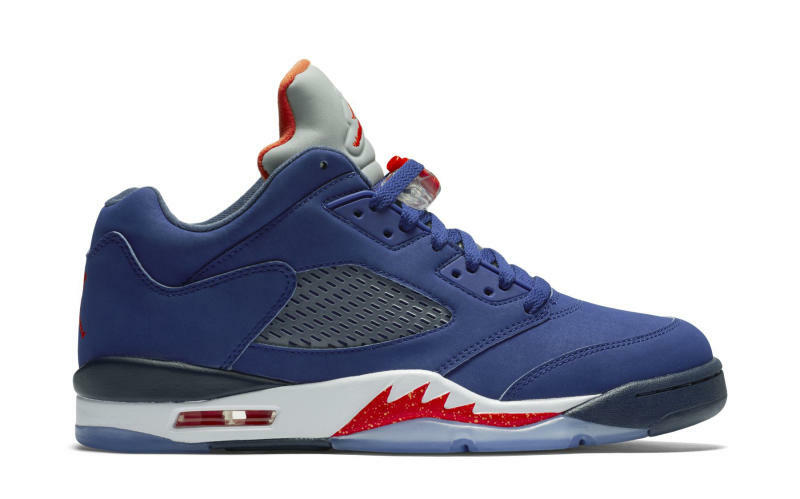 The AJ 5 Low drops on March 28, 2016.